The number of smart home systems installed in coming years may surpass the number of homes without smart devices. By 2021, more than half (55%) of all homes in North America are expected to be smart homes, according to a new forecast study by Berg Insight. More than 31 million smart home systems were in use in North America last year, according to the study. Of those systems, 26 million were individual solutions for a single function and 5 million were whole-home systems. Last year, 22 million houses in North America were smart homes. That number is lower than total smart home systems due to some homes using multiple systems. Berg Insight defines a smart home as a home with a system of internet-connected devices that are operated by a smartphone app or web portal. “This year is anticipated to be a good year for smart home technology as entry-level smart home systems have become affordable for the mass market at the same time as the reliability and features have improved significantly,” stated Anders Frick, senior analyst at Berg Insight. The smart home market in North America is expected to grow from $10 billion generated last year to $27 billion in five years, according to the study. By 2021, the number of smart homes in North America is expected to grow to 73 million. 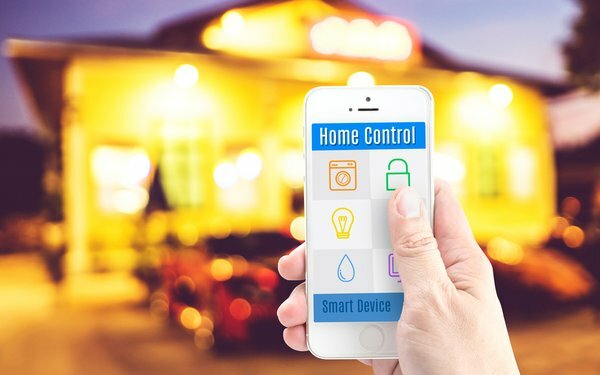 The top individual smart home systems include smart thermostats, connected security systems, smart lights and connected speaker systems, according to the study. While most smart home systems currently are operated through a smartphone app, the user interface of choice is expected to shift to voice control, according to Frick. Although the installed base of smart homes in North America is currently larger than in Europe, Berg Insight expects Europe to lead in 2021. The number of smart homes in Europe is expected to grow from 9 million last year to more than 80 million smart homes by 2021, according to the study. 3 comments about "73 Million Smart Homes In North America Projected". Adrienne Catlos from NPD, July 14, 2017 at 12:25 p.m. Interesting article - what are the data sources behind these claims? Chase Martin from Chase Martin replied, July 19, 2017 at 12:45 p.m.
Hi Adrienne - Primary source data via interviews in the market. From Berg Insight: "We interview many of the companies taking part in the industry to get first-hand information and collect market data." Rich Binsacca from Housing Innovation Alliance, July 21, 2017 at 6:21 p.m.
How does Berg define a "smart home"?